I have spent the last several weeks reading three novels from Jonathan Carroll. This review of White Apples is the first of the Carroll novels I’ve read. I had never heard of Jonathan Carroll before reading this post from Neil Gaiman about him. Besides Gaiman, he has been endorsed by novelists as diverse as Stephen King to Pat Conroy to Katherine Dunn. Because of his reputation as a favorite of writers, I’ve decided to to check him out. I’m probably late to this party, but I’m glad to have discover the unique fiction of Jonathan Carroll. White Apples is the story of Vincent Ettrich, a womanizer, who has died and been brought back to life. He has no idea why that has happened to him or memories of the experience. 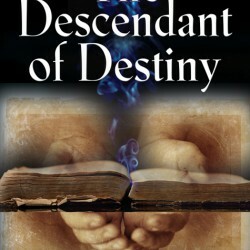 Eventually, Ettrich finds out he has been brought back to life by his former lover, Isabelle. Isabelle is pregnant and the child she is carrying has an essential role in saying the universe. However, Vincent can not remember what happened to him on the other side of life and the child needs to learn from him about that experience. Carroll does an excellent job in taking a soap opera or telenovela type of love story and turning into a metaphysical, surreal work of fiction. White Apples is surprisingly spiritual, thoughtful, and weird at the same time. Carroll’s lucid prose grabbed me from the opening pages and kept me engaged until the end of the novel. 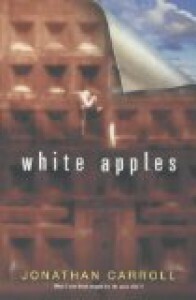 White Apples is one of my favorite reads of 2015 and Jonathan Carroll has become an author on my must read list.